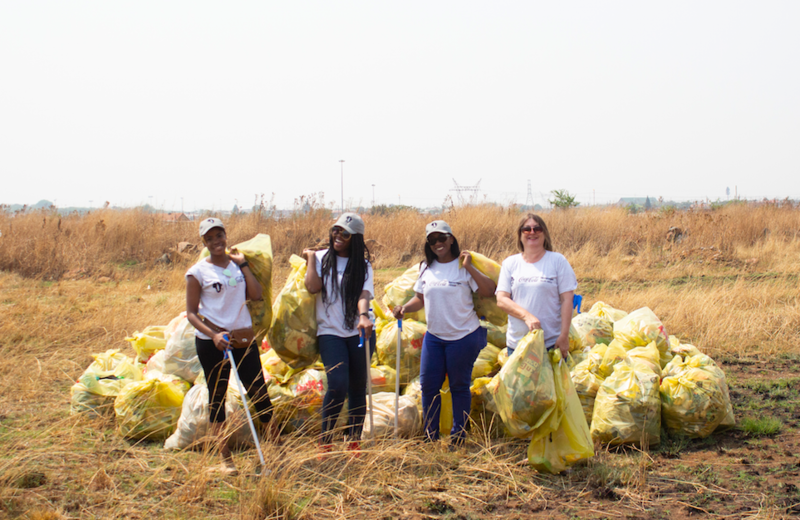 Communities around Gauteng spent the day removing litter and waste. A healthy environment makes it possible for communities to thrive, whether it’s through healthy soil and water or by reducing environmental risks associated with waste. 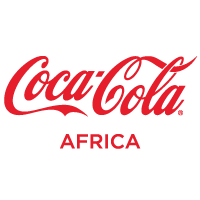 Global Citizen partner, Coca-Cola Africa, supports Goal 15 for improving life on land, and you can join us by taking action here to support the environment. At a large open field in Orange Farm in the south of Johannesburg, plastic bags cling on the plants while used bottles, styrofoam products, and other waste lie scattered on the ground. Other than being an eyesore, the field of waste stands out more for its location across a well-kept community park — it’s the perfect contrast of a healthy environment and one that has gone to waste. “We cannot allow this to go on,” Sithembiso Zine says, his hands pointing at the field. 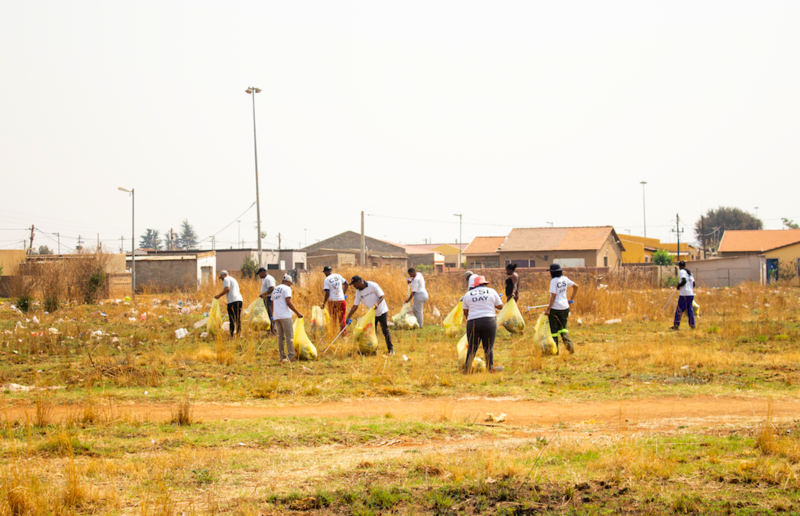 He is among more than 30 community members who spent the day picking up litter and waste as part of Coca-Cola Africa's World Without Waste initiative that’s aimed at inspiring communities to keep their environment clean. Orange Farm is one of 114 locations that were cleaned up. The World Without Waste initiative aims to make Coca-Cola's packaging 100% recyclable, globally, by 2025. This is in line with the global goal of promoting a healthier and cleaner environment as part of the mission to reduce extreme poverty and address other critical challenges. None of the collected waste comes from bottles and glass, which Coca-Cola Africa recycles. 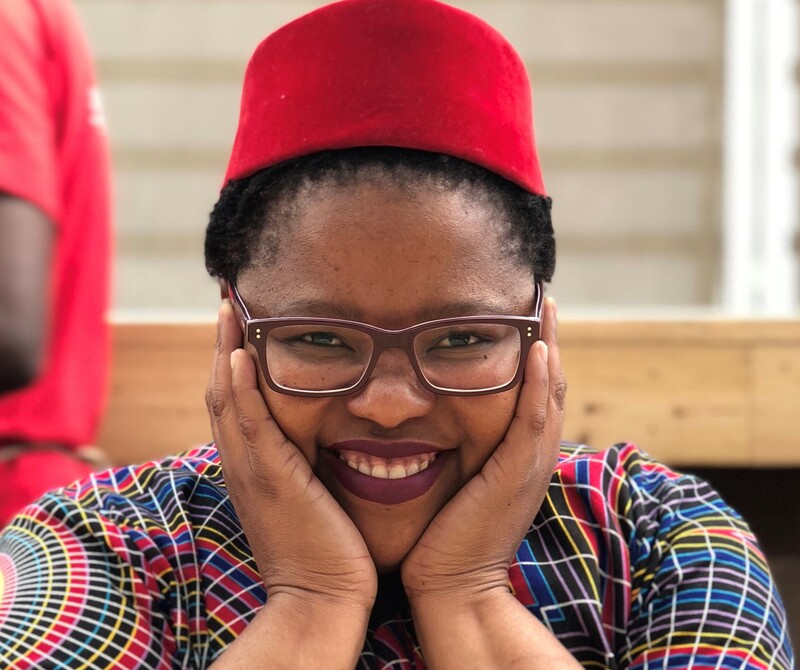 However, as the company’s regional CSI specialist, Ayanda Zwane says, looking after the planet is not just about reducing and repurposing Coca-Cola’s used packaging. “We have a responsibility to look after the communities that we trade in. We have school recycling projects in Orange Farm but over and above that, we were given an additional budget to host clean-up campaigns”, she says. People have different reasons to be here; some live in the area and wanted to do something worthwhile to keep their home clean. Sithembiso, however, is from a different section of Orange Farm. “I believe in keeping the spirit and legacy of Nelson Mandela alive through community work,” he says. His statement is a testimony of the inherent need for the people of the world to work together to find sustainable solutions to ending extreme poverty. It is particularly poignant as this year’s Global Citizen Be The Generation campaign celebrates the statesman's legacy and ideas that promote equality and sustainable development. 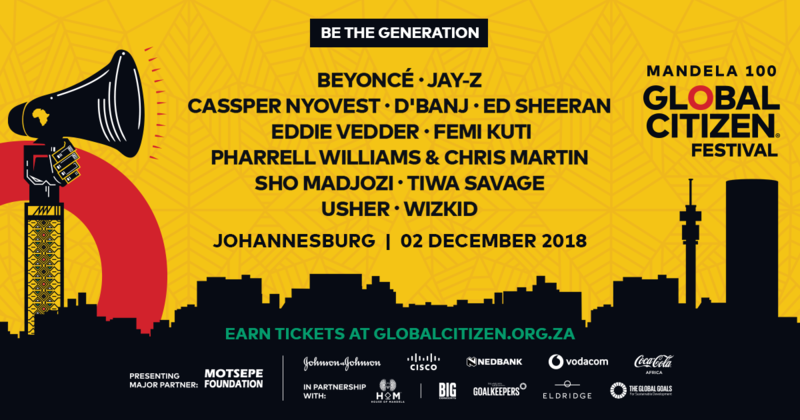 The Be The Generation campaign will reach its pinnacle on December 2 with the staging of the Global Citizen Festival: Mandela 100. The event will feature Beyoncé, Jay-Z, Usher, Fela Kuti, and Pharrell Williams among many other artists. The festival will be attended by Global Citizens and world and business leaders who will make individual pledges towards achieving the UN Sustainable Development Goals.